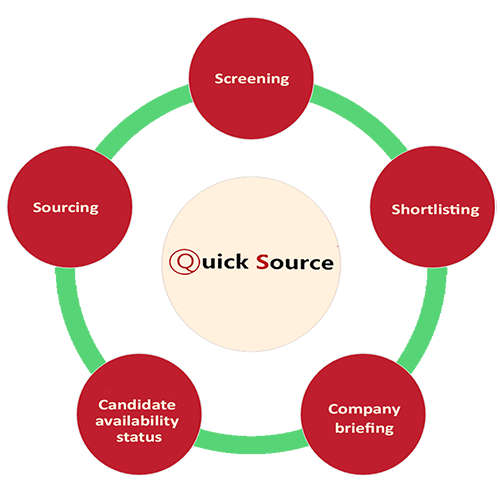 Quick Source is an innovative hiring solution that delivers candidates sourced to meet your specific requirements. It handles the sourcing, screening and short listing of profiles best-suited to your hiring requirements, without involving the high costs of hiring a recruitment consultant or the time and human resource commitments needed to utilize resume database services. Quick Source will help you get the best of both worlds by sourcing the best resumes for you, and then going a step further by talking to the candidates to screen them. Consequently, the profiles shared with you are only those that really measure up to your needs, and are open to being hired by you.